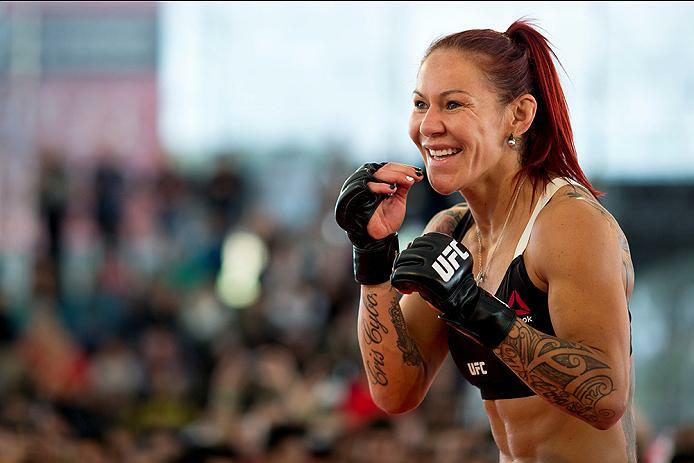 Unbeaten for over 11 years, Brazilian superstar Cris Cyborg will make her second UFC appearance on Saturday, September 24 when she faces Octagon newcomer Lina "Elbow Princess" Lansberg in the UFC Fight Night main event at Ginasio Nislon Nelson in Brasilia, Brazil. The five-round main event bout will be contested at a catchweight of 140 pounds. FOX Sports 1 will televise the event. The current Invicta FC featherweight champion, Cyborg made her UFC debut at UFC 198 in May with a spectacular 81-second TKO finish of Leslie Smith, and she will seek another big win when she faces Sweden's Lansberg, who enters the bout with a six-fight winning streak. Several other bouts were added to the card on Thursday, making this one of the most intriguing events of the fall UFC season. In a featherweight bout, former bantamweight king Renan Barao faces Brooklyn veteran Phillipe Nover. Heavyweight veterans will collide in what promises to be an explosive bout, as Roy "Big Country" Nelson takes on Antonio "Bigfoot" Silva. In lightweight action, surging Brazilian favorite Francisco "Massaranduba" Trinaldo meets Paul Felder. Also at 155 pounds, it's an all-Brazil showdown between Gilbert Burns and Michel Prazeres. Also taking to the Octagon will be Renato Moicano and Mike De La Torre, who meet in a featherweight bout. Plus, Brazil's Rani Yahya takes on Japan's Michinori Tanaka, and flyweight contenders Jussier Formiga and Dustin Ortiz square off. In a welterweight matchup, Vicente Luque takes on Hector Urbina, and lightweight prospect Joaquim "Netto BJJ" Silva also returns to take on newcomer Gregor Gillespie. If that's not enough, UFC matchmakers have been working overtime to deliver the goods, with the welterweight bout between Erick Silva and Brandon Thatch a clear Fight of the Night candidate. Looking to make their case though will be 155-pounders Alan Patrick and Stevie Ray, as well as welterweights Shinsho Anzai and Luan Chagas, all of whom have their sights set on big wins in Brasilia.